"Die-struck (Soft Enamel) Lapel Pins are made by having a die cut to the image of your design"
Everything from Keychains to lanyards. Discover why International Coats of Arms is the "king" in our field and a 100% Satisfaction Guarantee too! Discover why International Coats of Arms Soft Enamel Pins are the best choice for many people. International Coats of Arms Soft Enamel Pins are the most cost effective of all our pin types. International Coats of Arms Custom Soft Enamel Lapel Pins have a relief finish and filled colors accurately reproduce simple designs. International Coats of Arms Soft Enamel Lapel Pins are Best-suited to designs with clearly separated colors and relatively simple designs. A single color for all recessed areas, combined with the highly polished raised areas suits many designs. International Coats of Arms offers Industry standard color matching and our price includes up to 4 colors - FREE. Available in any shape and individually poly-bagged. Solid metal die struck pins that are filled with enamel as needed. The recessed areas (indentations) are then filled with the enamel colors. Colors are inserted by hand, one at a time, using different sized syringes. The pins are then fired at 450°F for 12 to 15 minutes. An optional epoxy protective coating (dome) can then be applied to protect the color enamels from fading or cracking over time. Ideal for Years of Service custom products. Allows the same product to be used for different levels of recognition. Available in Diamond, Emerald, Ruby, Sapphire, Amethyst. Protects your custom product with a durable clear finish. Provides a glossy professional coating for many custom products. Creates a perceived extra looking glass depth of the custom product. Add a keychain attachment to your custom design. Gives the recipient an opportunity to view your logo every day and remind them of your service. Excellent trading and collector's item. An epoxy dome is used for extra protection. Danglers offer additonal depth by adding another pin to an existing pin. Most times the pin is attached, but at times they have clasps so that people can trade their dangler! We offer a wide range of attachments for our products including Standard Butterfly Clutch, Deluxe Clutch, Stick Pin, Magnet, Tie Tac, Tie Bar, Broach Backings and many more. Whatever your choice for a custom product, Kingpins has the presentation box available for you. Laser Printing is used to clearly show intriqite and detailed designs. International Coats of Arms Custom Soft Enamel Pins offer a wide choice in finishes and looks. 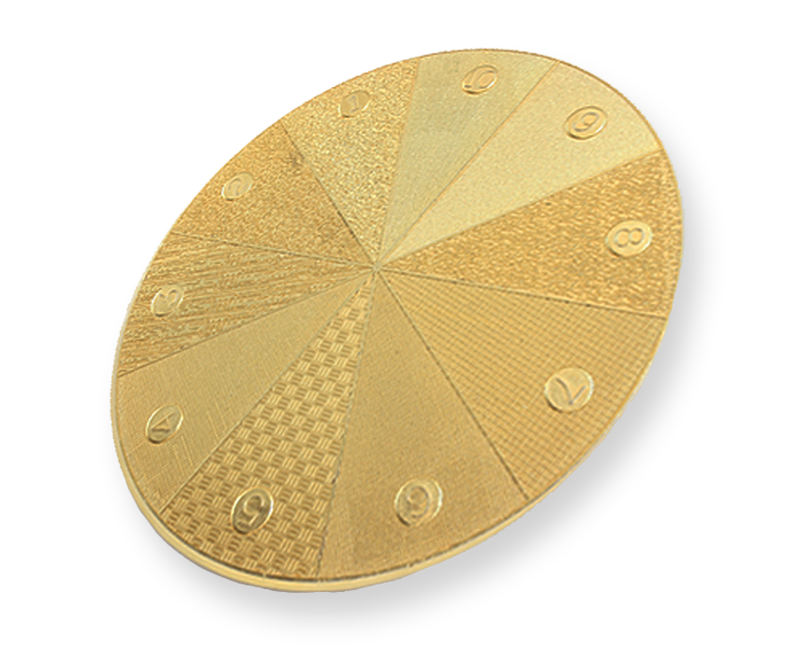 Have you considered Sandblasting for your custom soft enamel lapel pins? International Coats of Arms offers a wide range of sand blasting finishes to give you that perfect distinguished look for your custom pin. Want to get more of an up-scale looking pin without the extra cost? Consider an Epoxy Dome that finishes the pin surface with a smooth epoxy finish. The International Coats of Arms Award Winning Difference! Discover why we sell over 1 million custom pins, medals and badges each year. No, we cannot resell items that are returned. No weasel wording here! This is why we have had a BBB A+ rating for so long. How do we ship your order? As soon as we receive your custom product, we inspect it and then ship it to you the same day. How do I make my design look the best it can be? Got an idea and don't know to make it work? Our art department can create a design for you quickly! You've worked hard on creating your design. The last thing you want to see if a copycat. Copyrights and trademarks are strictly enforced. Over the past 51 years we have provided custom 100% Guaranteed products throughout North America. I have artwork for my design. How do I get it to you and what graphic formats are best?